John is a strategic and innovative leader with a proven track record of delivering exceptional results in both private equity and public companies. He brings 30 years of general management experience across Sales, Marketing and Supply Chain disciplines with expertise in leading Go-to-Market transformations in strategy, structure, capability and process that leads to consistent delivery of results. 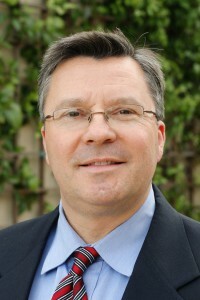 John also has extensive experience in all aspects of M&A from evaluations to operating integration. His most recent experience is in the pet industry where he served as CCO for Big Heart. As a pet brand powerhouse, John led Big Heart’s Sales Organization to exceed objectives, including growing the Pet Specialty Channel from ~$150M to $700M with several unique channel exclusive products. He also built strong relationships across key retailers like Walmart, Kroger, Dollar General, Petsmart, Petco. Through a series of mergers, acquisitions and divestitures John helped to build Big Heart Pet Brands into the largest stand-alone Pet Company in U.S. Under his leadership, Big Heart received awards in the industry, such as GMA Innovation Product award, Effie Shopper Marketing, and a Top 10 Nielsen product launches award. In addition, we’re also proud to boast that he and his team received customer recognition within the past 2 years as Vendor of Year at Walmart, Target, Petco, Family Dollar and Sams. You can contact John at contact@simpactful.com to learn more about his broad industry expertise and how he can put his knowledge to work for you!